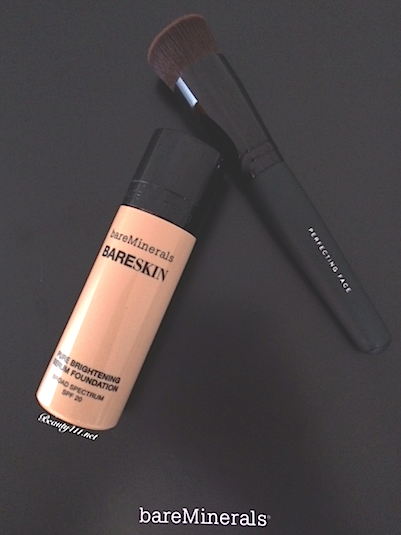 bareMinerals has re-invented foundation…again. 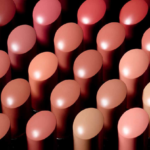 While many love and are loyal to the game-changing original bareMinerals foundation, the brand appreciates the complexity of women’s needs. And now, bareMinerals is tapping into the needs of women that love a liquid foundation, with new BareSkin Serum Foundation SPF 20. While some may think that developing a liquid foundation seems at odds with a company known for it’s mineral makeup, I welcome the BareSkin Serum Foundation (liquid) option, as I did the READY Foundation (review). I’ve seen some of the BareSkin Serum Foundation demonstrations on QVC and my curiosity has definitely been piqued. When I received a sample in the mail to try, I honestly couldn’t wait to see what this new foundation was like. The process with BareSkin Serum Foundation is a little different than “tap-swirl-buff”, obviously. Since the formula is so different, application had to be re-invented, too. 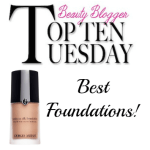 The formula (and feel) of BareSkin foundation is unlike any other foundation I’ve tried. First, BareSkin contains no oil, no silicone, no fragrance and no water. It has a silky, serum-like feel–almost like you’re applying skin care. In addition, there is SPF 20 built in. An easy way to remember how to apply bareSkin is “shake, drop, buff”. To apply, use the new Perfecting Face Brush, which has a little well cut into the bristles. You shake BareSkin Serum Foundation, then apply a number of drops into the well of the brush, depending on the amount of coverage (2 drops = sheer, 4 drops = medium and 6 drops = full) you want. And then you buff onto your face, stand back and be amazed. I tested out the 07 Natural shade (I’d consider medium), which turned out to be perfect for my skin tone. 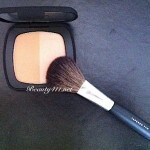 I honestly couldn’t get over the feel of BareSkin foundation; it feels silky and luxurious. I have not needed a primer, although you could use one. I love the ability to build coverage–3 drops is what suits me best. I have combination skin that leans toward dry and I didn’t have any problems with this foundation settling into fine lines. Overall, I really like and recommend BareSkin. 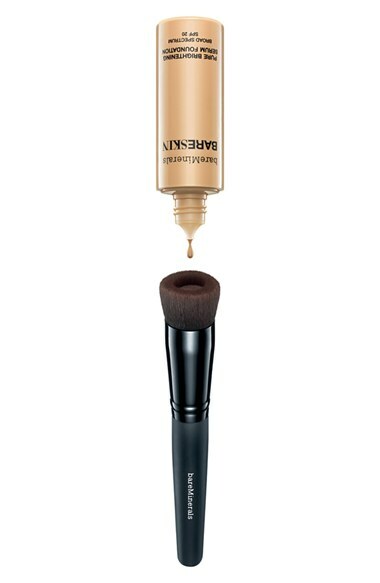 bareMinerals BareSkin Serum Foundation SPF 20 is available at QVC, Sephora and in department stores including Nordstrom. Are you going to go BareSkin? Let me know in the comments! 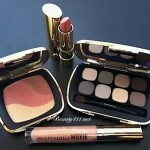 i want to buy bareMinerals BareSkin Serum Foundation SPF 20 and bareminerals-ready-bronzer-and-luminizer set and its powder. pls let me know how i cud buy it, get it, and its price asap. This stuff is awful. I tried it , was a little skeptical but bought it anyway. I returned it after three uses. It’s greasy, provided no coverage and it was streaky. Don’t waste your money. I love this stuff! Bought some about a month ago. I found that 3 drops is perfect for me. Very natural, feels great on my skin and lasts all day! The fact that it has SPF 20 is another added benefit!